Hai! 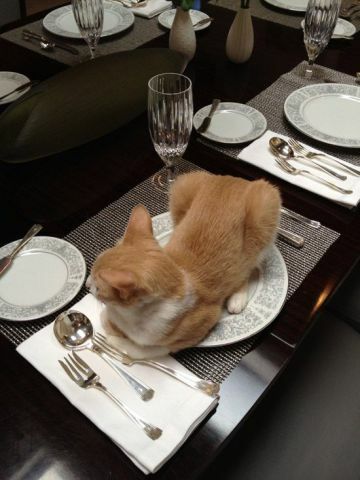 I had chosen my place for the dinner party! I hope we is having sea bass in sardine sauce. And a nice tuna sorbet for dessert!